Has long been famous for its mystic connections with King Arthur and the Holy Grail. Glastonbury Tor is a steep hill rising 521 feet above the surrounding fenland. 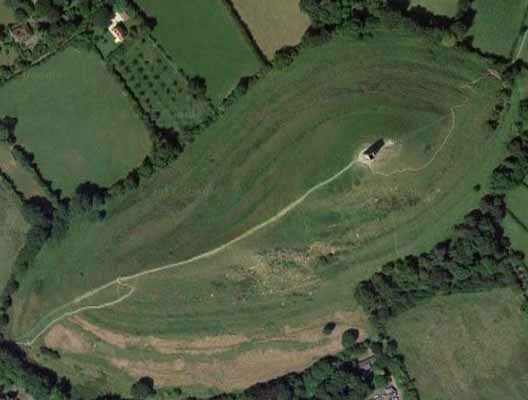 The top of the Tor is surrounded by several rings of terraces and ridges. In this century, mystics have divined that these ridges formed a labyrinth and eventually a standard pathway evolved by 1984, making the largest labyrinth in the world.